As you live out your adventures in your Motor Home or RV, let us help you secure the right insurance policy so that you can enjoy your trip to the fullest. It is important to note that coverage afforded by RV policies is quite different from standard auto policies. 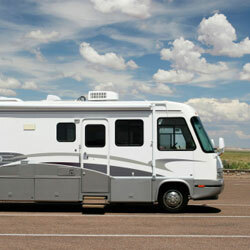 We can help you secure an insurance policy for almost every type of RV or Motor Home. With this in mind, we want you to focus on the adventuring while we handle the insurance. Covered motor home types will vary depending on insuring company, but in general, motor home policies can provide coverage for Class A, B and C motor homes, luxury motor homes, and full-timers. In general, motor home insurance will provide protection for you and your RV, including coverage for collision, property damage, theft, vandalism, and uninsured or underinsured drivers. Additional coverage options include towing and labor, roadside assistance, vacation liability, and medical payments. Speak to one of our Motor Home & RV insurance specialists who will be more than happy to help you find a policy that best matches your needs. Call us now to request your Motor Home & RV Insurance quote proposal from an agency that strives to consistently provide our customers with superior coverage, service and savings.